A key battle fought in the heart of the Dark Ages for control of southern Britain pitched the King of Kent against the leader of the Romano-Britons. The victory won here decided the fate of Britain for a generation. Fought across what is now built up Wimbledon the battle raged from the ford that carried the Roman road Stane Street over the River Wandle to the defences of Caesar’s Camp on Wimbledon Common. The bloodshed was profuse as thousands of men packed shoulder to shoulder hacked at each other with spear, sword and knife. 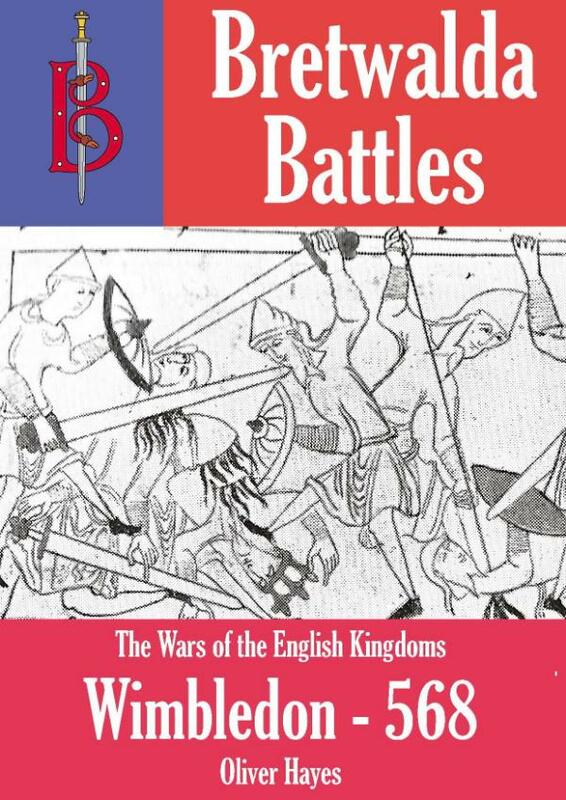 In this book historian Oliver Hayes outlines the reasons for the war and gives detailed notes on English weaponry and tactics of the time before describing the events of the battle itself and its aftermath. What has for years been a little-known and poorly understood event in early English history is here described and explained clearly for a general readership. Oliver Hayes is a student of military history who has written a number of books and articles on military subjects. His training and background is in Dark Age History.